The NYRR NYC Marathon website has this nice little countdown clock letting all of us know not only how many days there are until the marathon but how many hours, minutes, and seconds. In 17 days I’ll be running in the NYC Marathon. 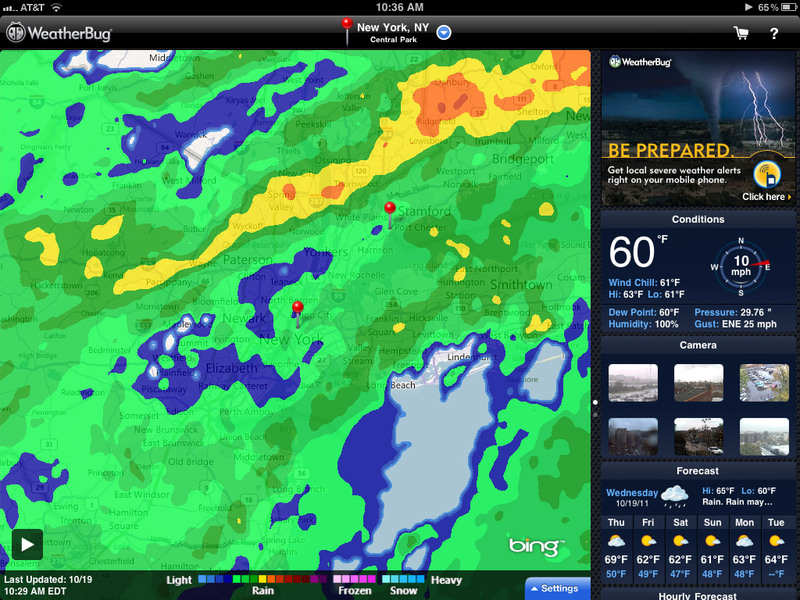 See, it's raining -- a lot. It is raining today, that does not make me happy. What did make me happy was celebrating National Chocolate Cupcake Day yesterday. Now I have to run five miles in the rain today because I celebrated a little too hard with the cupcakes. But it was so worth it. The only thing about running in the rain that can make me happy is knowing that only crazy runners will be out on the streets this evening. Free food also makes me happy. Someone ordered way too much breakfast for their meeting in the office today and I scored some nice eggs, bacon, sausage, and potatoes for breakfast. I’m hoping they over ordered for lunch, if not at least for dessert. This entry was posted in NYC Marathon, running and tagged bacon, cupcakes, eggs, National Chocolate Cupcake Day, NYC Marathon, potatoes, rain, suasage. Bookmark the permalink.